One way to prevent this is by leveraging the unique tax benefits of annuities to meet your client's asset protection, income creation and wealth transfer needs. Annuities receive special tax treatment and offer a variety of benefits not available with other financial products. The money your client invests in an annuity grows tax free as the interest compounds. This creates an attractive accumulation opportunity for the client because their money is able to grow on a yearly basis without being stunted by income tax payments. Use this calculator to compare taxable, tax-deferred and tax-free growth. Read More: Which Clients Should You Meet with This Tax Season? Unlike most other investments, taxes are only paid on gains when they are withdrawn. This alleviates any worries about paying taxes on dividends, interest or capital gains associated with most other financial products. Fixed and indexed annuities generate tax-deferred income, which has no impact on your client's Social Security benefits, as long as the money stays in the annuity. Did you know that up to 85% of your client's Social Security benefits may be subject to federal income taxation depending on their level of provisional income? Other "safe" products like CDs, savings and money market accounts and municipal bonds contribute to provisional income, which often cause more of the owner's benefits to be taxed. By waiting until retirement to take distributions, when they're more likely to be in a lower tax bracket, clients are essentially able to defer tax payments until it becomes more favorable to them. No reporting is required as long as income isn't taken out of the annuity. Your clients can use a single premium immediate annuity (SPIA) with a life-only payout to pass on assets they won't need in retirement to heirs tax-free through an established trust. 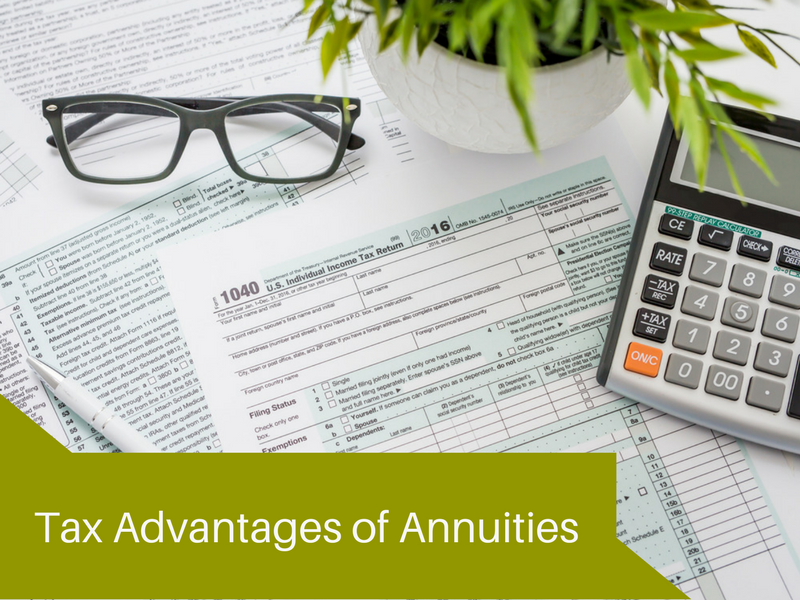 Have you ever talked to your clients about the tax advantages of annuities? Any other advantages that you think we might have missed?